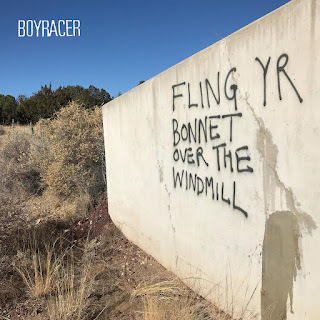 Boyracer doesn't make music that sneaks up on you. Their music enters your cranium at warp speed, with punk ferocity and a dense, fuzzy wrapper around a tight little pop filling in the center. And then just as your pleasure sensors are rocking out, the song takes a quick bow and the next one leaps in. The band have been at it for a long time, with a numerous and changing cast of musicians, multiple labels, and several different locales -- including their original base in the UK and main Boyracer Stewart Anderson's current home in Flagstaff, Arizona. Between 1993 and 1994 the band released three EPs via Sarah Records, EPs fans assumed were lost in the mists of time. But such assumptions didn't account for the combined effects of modern technology and Stewart's psychological condition known as ABRM (or, Always Be Releasing Music). 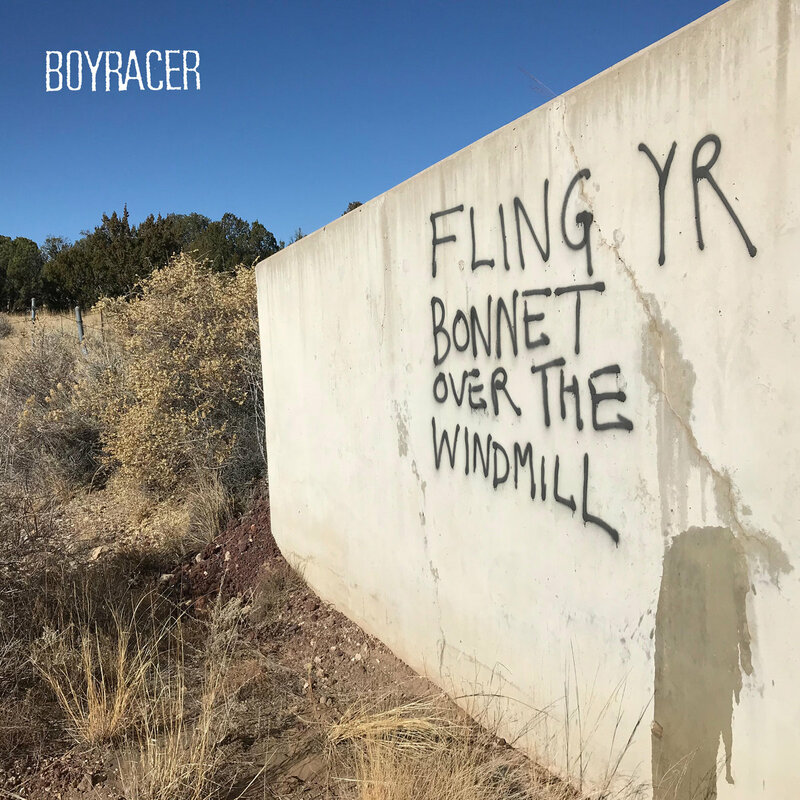 So Emotional Response Records, run by Stewart and his spouse, Jen Turrell (also a Boyracer alum), has combined the three EPs into Fling Yr Bonnet Over The Windmill. This is classic stuff, with 15 tracks of rough-edged punk rock perfection. And in addition to being thoroughly exciting, we think it is an important take on pop music that earns the right to reach a new set of years (and old ears as well). Concision is the order of the day -- I think only one track exceeds three minutes and I'm surprised that Stewart didn't break it up into "part 1" and "part 2" -- but with the energy packed in each track, the run times are exactly right. Fling Yr Bonnet Over The Windmill is available in digital and vinyl formats. See the Bandcamp link below. 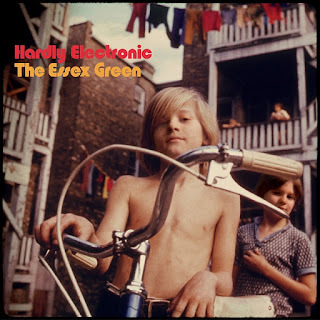 Hardly Electronic by The Essex Green teaches certain unassailable truths. One truth is that male/female vocals, in any combination or sequence, add depth and interest. A second truth is that well-done '60s style pop never really goes out of style. A third truth is that The Essex Green consists of some very fine songwriters and performers. 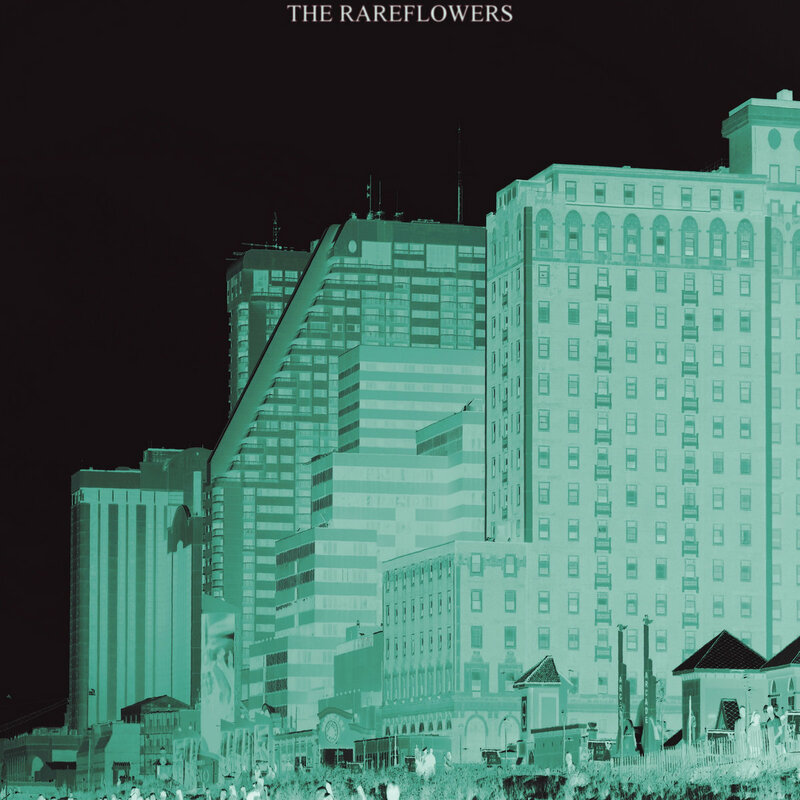 The band was formed in the late '90s and were based in Brooklyn for many years, although now are variously located in Vermont and Montana. They were considered part of the Elephant six scene and shared members with chamber pop band Ladybug Transistor. Although psychedelia was present in their earlier work, the songs on Hardly Electronic lean more toward folk rock with some chamber pop and country, although they can rock out when they want to (check out "Catatonic" below). The sound is a layered and fulsome combination of keys and guitars, with well-delivered vocals and a high energy delivery. This is a band that has matured without getting complacent, and gloriously overcome the hurdles to writing music while living far apart. If you are looking for a new album for your summer soundtrack, check out the tracks below and stream it in its entirety at the Bandcamp and Soundcloud links. And that reminds us of a fourth truth, the twelve year wait between the preceding album and Hardly Electronic is far too long to wait. The Essex Green are Jeff Baron, Sasha Bell, and Chris Ziter. Hardly Electronic is out now in digital, CD, and vinyl formats via Merge Records.